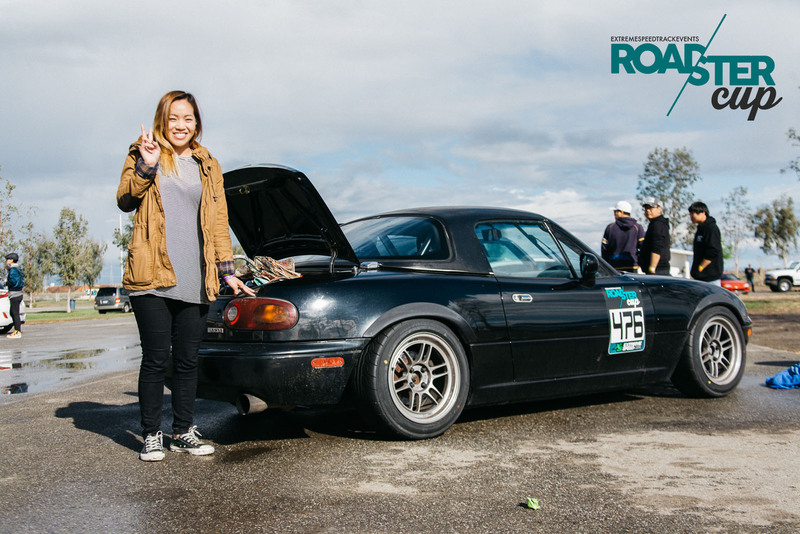 In this Driver Spotlight we’re getting to know one of our fearless females, Muoi Tran! This is my 3rd Miata so far, the first two were duds. My coworker had a Miata sitting at the shop for the last 3-4 years and I told him I wanted to buy it since I trusted it was well taken care of. Best decision ever. Lol. Cusco 2 Way LSD, Tein MonoFlex, Fujitsubo exhaust, Racing Beat Headers, Carbotech XP10/XP8, Hard Dog Roll Bar, Enkei RPF1, Yoko AD08R, ACT Clutch, Bride Vios III, Koyorad, Rev Autosport Fenders, Nardi Steering Wheel, Tilton Rear Brake Bias, and some other little things. I believe I started in 2011 driving the STI, but I’ve been on and off for the last 3 years because of school. 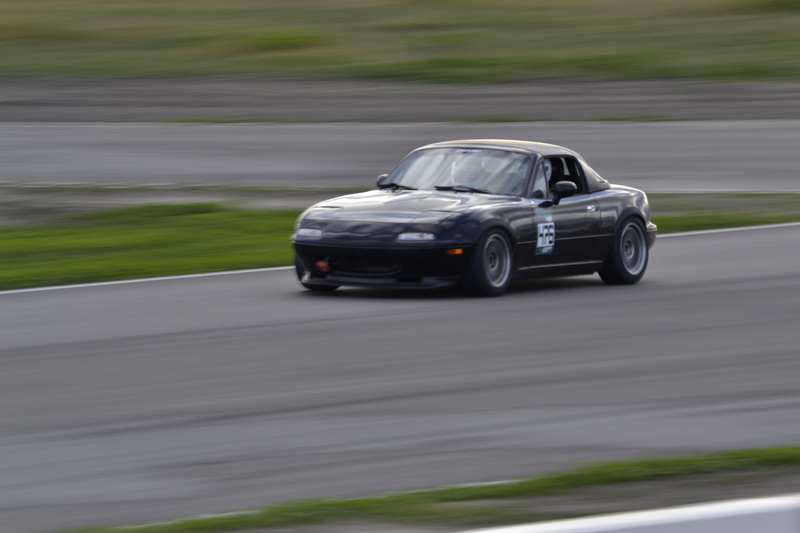 Now that school’s over, I’m definitely making it out to more track days. I’ve done about 3-4 Roadster Cup events so far. Its actually getting painted right now, but the next thing on the list is a new Bride seat for the passenger and Cusco harnesses. 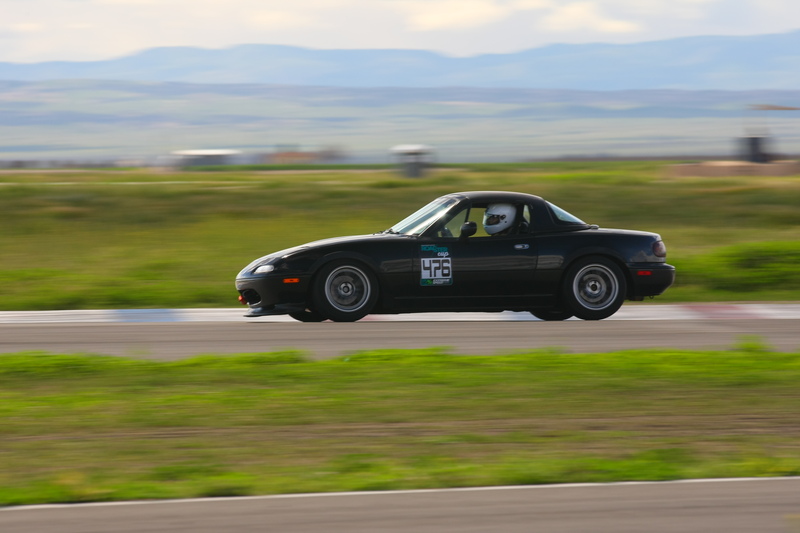 If you didn’t have your Miata or STi, what do you think would be your track car right now? Improve my driving and hopefully make podium! Buttonwillow. Its just a lot of fun. I learn something new every time I go there. What’s the sketchiest thing you’ve ever experienced on track? I almost flipped my car at Phil Hill. Never was scared of that turn until that happened. I have a lot of track friends back when I was living in San Jose and they convinced me to come take the STI out. Everyone in the series is a great driver so there is a lot of competition! I’ve never really watched videos from other tracks around the world, so I think Buttonwillow would still be my top choice. I do illustrations of cars for other people. But I also love to snowboard. Something about learning and maintaining car control is relaxing. And driving is like a competition with yourself, you always want to keep improving and better yourself as a driver. Also passing 300hp+ cars in your miata is satisfying too. I can’t think of one at the top of my head, but any movie that has that one awkward character in it would be me. What car would you buy/build if you won the lottery? Thanks for answering our questions, Muoi! Check back next week to meet more Roadster Cup drivers.